Black fungus, or Auricularia polytricha, is sometimes known as wood ear, cloud ear or tree ear. It is a mushroom that is dark brown to black and native to Asia and some Pacific islands with humid climates. It is edible and often used in Asian cooking. 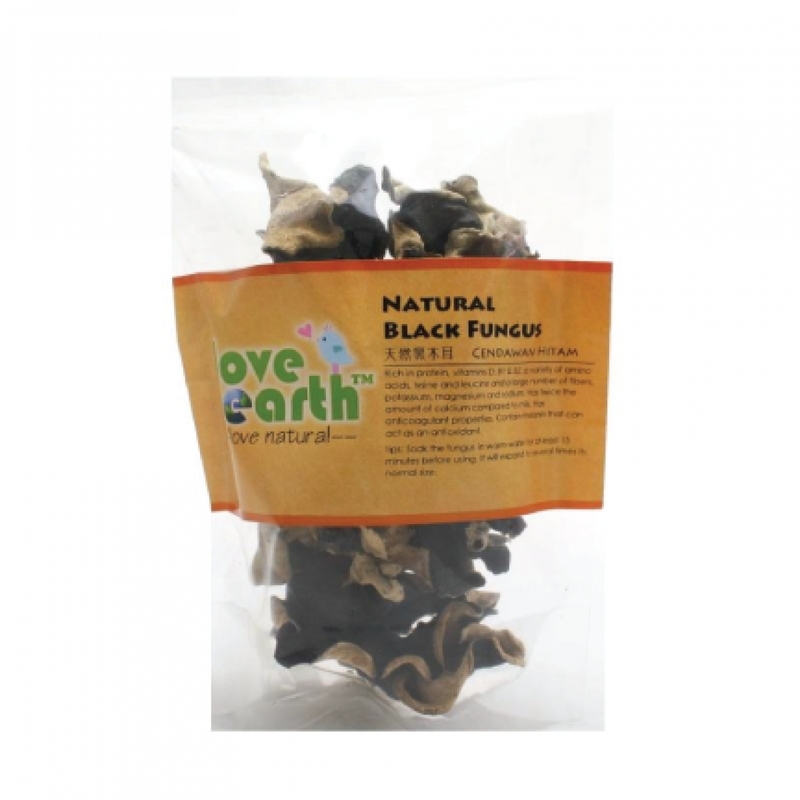 Improves circulation – Black fungus has a chemical that inhibits blood clotting, and because heart attacks, strokes and blood vessel diseases are linked to clotting, this fungus may improve circulation. Prevents cardiovascular disease – Contains vitamin K and rich in minerals such as calcium and magnesium, which help to prevent coronary heart disease. Rich in cellulose (plant collagen) – Promotes gastrointestinal peristalsis. Contains the trace mineral, germanium – Has anti-viral and anti-tumour effects. Soak, trim and wash thoroughly before use.